We recognise that sexual violence and domestic violence occurs when one person assumes power and control over another; with no regard for the effect of their actions. If people are given the information and support to take control over their lives we believe their self-esteem and confidence can be increased to make positive changes in their lives. KCRASAC recognises the similarities of men experiencing sexual violence and domestic abuse; also the difference of these experiences in relation to female survivors. 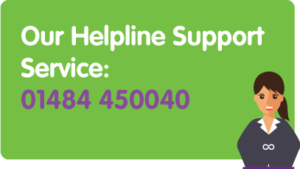 We offer the same support services to male survivors as we do women. We recognise the importance of the social and psychological impact of their experiences as men; and how this compounds their reluctance to disclose. Therefore we are committed to continuing to provide access to support for male survivors. Survivors UK define sexual violence perpetrated against a male as: “any unwanted or non-consensual sexual act performed against a man or a boy at any time in his life.” They note the same impact on men as for woman and identify some of these as: emotional distress, shock, disbelief, denial, shame, embarrassment, guilt and depression. KCRASAC recognises that there are myths around male sexual violence which add another dimension to the exclusion and isolation men (boys) feel if they have been sexually abused. Domestic abuse takes place within an intimate relationship and forms a pattern of bullying and controlling behaviour. Men can experience domestic violence and the forms this takes which includes; emotional abuse, threats, intimidation, physical abuse, sexual abuse and financial abuse. Reality: Men and women have the same rights to protection from domestic abuse. Reality: They had no choice in the abuse. It is important to remember that 1 in 6 boys are sexually abused before age 18, and that those boys can grow up to be strong, powerful, courageous and healthy men. Myth: Men cannot be sexually abused by women. Reality: Men can be abused by women. Due to societies views on women abusing men the abuse may be trivialised and minimised.